Forged Black Textured Axe With Rosewood Handle | BUDK.com - Knives & Swords At The Lowest Prices! 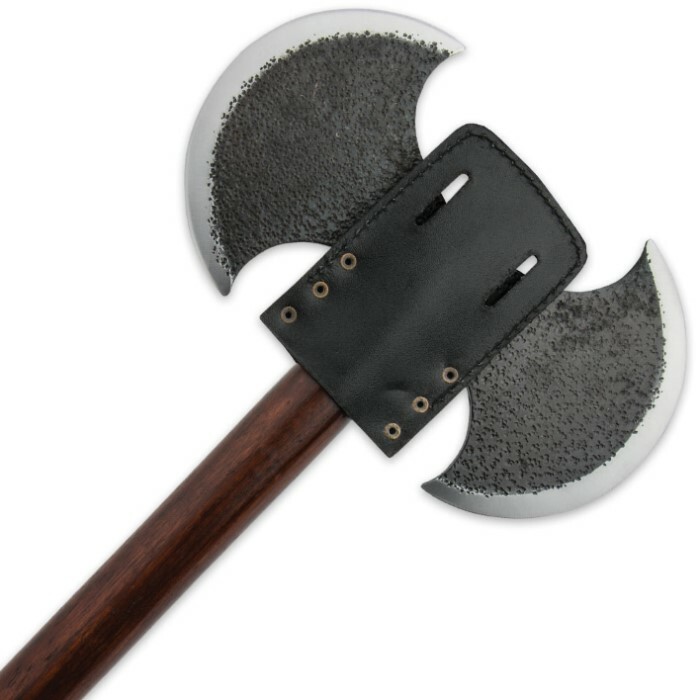 The mighty Forged Textured Axe is a perfect specimen of a Medieval inspired weapon and is definitely a must-have for your historical collection. 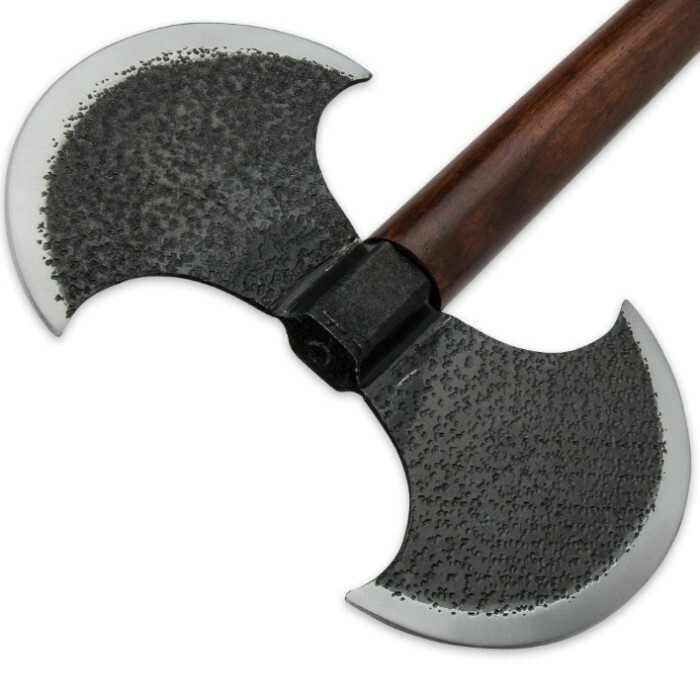 It features a forged carbon steel 10 1/2" axe head with a black textured finish. The handle is of beautiful Rosewood with brass stud accents. It comes with a genuine leather belt sheath and is 26 1/2" in overall length.